We were appointed by a local builder to install 56 in-roof solar PV systems and 14 on-roof PV systems at various new build properties at Thrushcraigs Crescent in Paisley. The new build social housing project was funded by a local housing association in conjunction with a local council. The project was part of the Scottish Government’s commitment to providing sustainable social housing across the country, which will help cut down on energy costs. The builder and the council worked with the aim of providing affordable and energy efficient social housing to residents across the area and reducing the number of people who are living in fuel poverty. We were appointed for our high quality and cost efficient solar PV solution, which enabled the client to use less roof tiles and achieve value for money. Our award-winning energy team installed 1.5kW systems to a total of 70 new build properties at Thrushcraigs Crescent in Paisley. We held an initial meeting with the client where we carefully planned out the installation and established a schedule of works. It was agreed by all parties involved to have the project completed in six months. 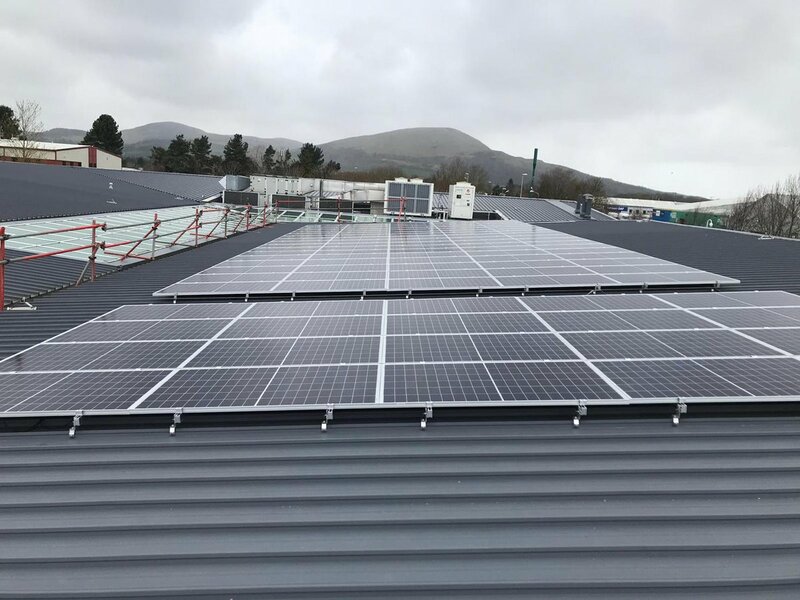 Two teams of four on-roof solar installers and two electricians carried out the installation to the exact specification provided by the client. During the installation period, health & safety, quality and communication were at the top of our team’s priorities and our Health & Safety Manager had regular onsite meetings with the team. We are always looking at ways to be innovative and in this project, we used stylish black panels as part of an in-roof system, ensuring the aesthetics of the new houses were not compromised, which in turn reduced the amount of titles that were required. Our solar team worked in a coordinated manner with the project’s electrical contractor, building and roofing teams, which ensured that the project was completed on time. Our MCS-accredited energy team completed the job in six months, delivering on time and on budget. The PV systems will produce 1500kW/h per year and could save residents up to £100 a year on their energy bills. The solar installations at Thrushcraigs will help to prevent 867.3 tonnes of CO2 emissions after 20 years – the equivalent of making 79,866,000 cups of tea over the same time period. Contact us to find out more about how C&K can help with your green energy targets.